Baird Dunsmore has a vision for his work with Torrey Smith Realty Co., that includes a well-rounded perspective of the value of investing in and growing the community, so it keeps moving forward. In early 2016, he joined long-time friend Torrey Smith as a Realtor, having spent the last several years renovating distressed properties in the Shelby County area. 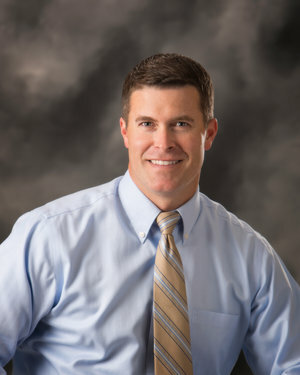 Baird and his family relocated back to his hometown in 2013 after living in Brentwood, Tennessee where he worked in pharmaceutical sales for nine years. He also brings experience in site acquisition, having negotiated real estate transactions for the development of telecommunication structures. Through his company, Dunsmore Films, he can effectively tell the story behind a house or property through video. Baird knows that buyers want more than just pictures; they want the story of a home. Baird can tell it, as well as sell it. “I am drawn to story and we all have one. I want to hear the story of the clients I work with – to learn more about the path they’ve traveled, where they are now and what’s next for them. That connection fuels me to provide remarkable attention and care to their home buying and selling goals,” he said. With his background in renovating and re-designing homes, Baird can help buyers see the true potential of properties and he can connect homeowners to his network of reliable contractors. In addition, he offers to have one room of a client’s new home organized and designed, so the chaos of getting settled in is a little more manageable among the unpacked boxes. Baird grew up across the road from Torrey and his father, W.A., who continues to serve the Shelby County real estate market for more than 40 years, so the decision to join Torrey Smith Realty Co., was instinctive. “The trust that is there makes all the difference. Besides that, it’s the heart of Torrey Smith Realty that I connect with. I like that we are local, and we give back to the community in various ways. I like how innovated we are with marketing real estate, finding new ways to bring buyers and sellers together,” he said.